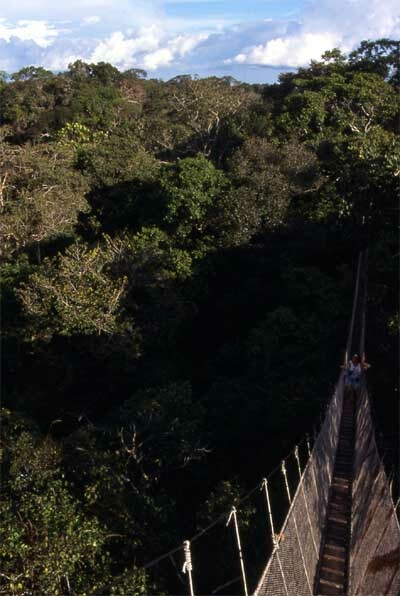 Although there are arguments for and against ecotourism, there is no doubt the industry is welcomed by locals for whom it provides valuable employmentas naturalist guides, facility administrators, boat crew and hospitality services personnel. The interest of tourists also encourages governments to participate in conservation enforcement, and tourists can encourage education and activism in their home countries. 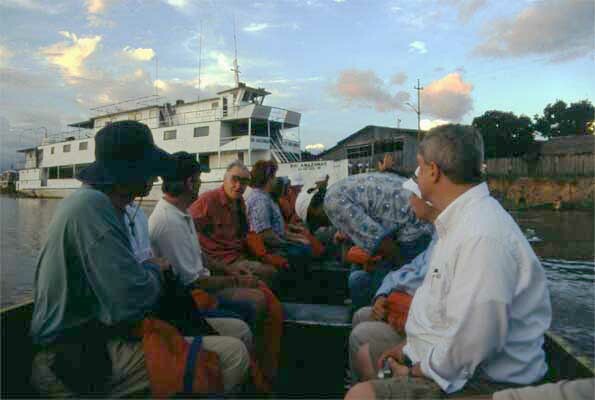 Tourists return aboard Rio Amazonas, a tourist riverboat. This small ship sleeps 42 passengers and sails from Iquitos, Peru to Leticia, Colombia, once a week, taking six days round-trip for the 650 mile voyage. Trails through the forest are wet and muddy! 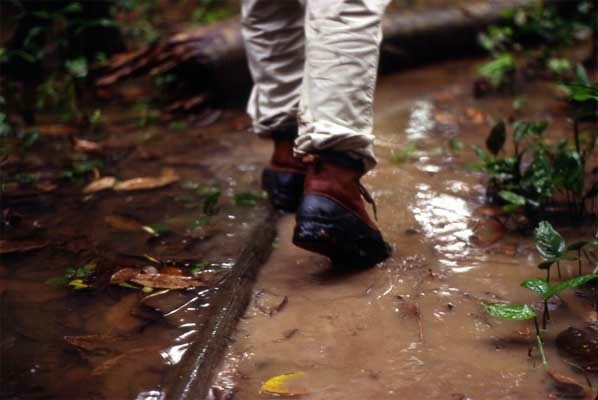 Visitors should bring along appropriate footwear to ensure they remain comfortable throughout a forest hike.